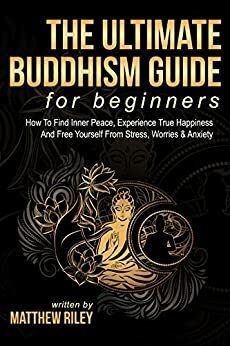 A clear, easy to understand summary of the ancient wisdom of Buddhism, teaching you timeless lessons in personal philosophy that will help you to live a calmer, more peaceful, more fulfilling life! Do you find yourself feeling frustrated and restless at the start and end of your day? Do you feel like there’s something more to life, something that you’re missing out on? Well, don’t worry; the ‘Ultimate Buddhism Guide For Beginners’ will set you free! Imagine waking up every day feeling satisfied, ready to experience the adventure that lies in store for you! Picture feeling deep peace and contentment in your heart in every situation you go through, knowing that everything that happens in your life is part of something far, far greater than yourself! The philosophy and principles of Buddhism, and how they can change your life for the better! What the human chakras are and how to balance them! How to understand your body synergy! How meditation works, and why it can revolutionize the way you approach every aspect of your life! The history of Buddhism, and how it grew and developed over the course of two and a half millennia from a small group of followers to the fourth biggest religion in the world! You can find all this, and much more inside! Buddhism changed my life. It taught me how truly at excel at the only thing that really matters: being human. If you want to live a life with meaning, happiness, and peace, get the ‘Ultimate Buddhism Guide For Beginners’ today!